I mailed you a very special birthday gift last year. Remember the card contained a package of magic success seeds? I haven’t heard from you and was wondering, are you enjoying the fruits of success yet? No? How’s that possible? Those magic success seeds are priceless! They are guaranteed to grow into a successful life that was just for you. What happened? What happened was that you didn’t know me last year. You thought my magic success seeds were just some other SPAM junk mail and you threw them away with a bunch of other trash that you thought your life didn’t need. What a waste. If only you’d known right? Do you feel like you’ve missed out on a wonderful free gift and that life is so unfair? Since it was an honest mistake, don’t you deserve a second chance? Can’t I just please send you another package of magic success seeds? Pretty please? Sorry, no magic. It’s just a parable. Ok, don’t panic and go running to your local landfill with a shovel. There are no magic success seeds. It’s just a little parable about how we sometimes treat our undiscovered personal gifts, talents and strengths. We don’t recognize who sent them to us. (Hint: He made you.) We don’t take the time to discover them, nurture them, care and feed them. We definitely are not patient enough to wait and watch them grow into the full-grown successful life that we’ve always dreamed of living. We don’t want to do the hard labor of weeding and watering them. (Hint: Practice using your strengths.) So they just get thrown away, die of neglect or never achieve their full potential. When we realize it might be too late, and that we may have missed out on a significantly successful life, we demand a second chance. The good news is that if you are still here, it’s not too late to start finding and growing your own magic success seeds. Your magic success seeds are really called your gifts, talents and strengths. You were born with them. But it’s up to you to recognize, practice and use them. 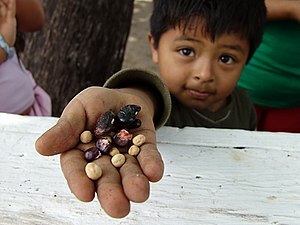 Which of your gifts, strengths and talents are still success seeds that are left in your unopened package? Spring is a great time to plant a whole new life! Get out and do a little life gardening. With any luck and a little hard work, you will most likely be harvesting a whole new life by Fall. Maybe you have some strengths that are just needing a little sunshine and attention. You have kind of kept them in the dark for a while. The days are getting longer, so you have more daylight to work with to use to discover and develop your strengths. Maybe you have some strengths that are hidden from you. You’ve carried them around with you for years and have never found the right situation to try them. Take an assessment like the “StrengthsFinder 2.0” by Tom Rath and The Gallup Company. 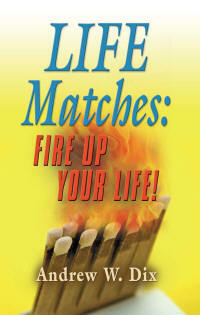 Download the free exercises from my website, http://www.lifematchesbook.com. Or at least ask your friends and family to tell you what they think you are really good at doing and seem to light up every time you do it. This is a good clue that you have found something that you are good at doing and love doing. We call them strengths. Finding and living by using your strengths to help other people is a great way to fire up your life! I hope this plants a few ideas that sprout soon for you.